Words & music: Maria Di Donna. Except Impossibile trasmissione: Angela DiDonna & Daniela Di Donna. 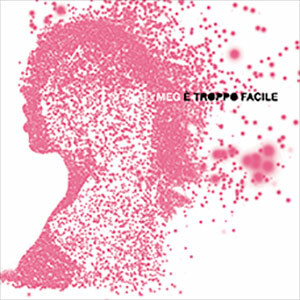 È troppo facile: words M. Di Donna, music Stefano Fontana. Succhio Luce: words M. Di Donna, music M. Di Donna & Stefano Fontana. Produced by Stefano Fontana & Meg. Except: È Troppo Facile: produced by S. Fontana and additional production: Meg. Promises: produced by Meg & Mario Conte. Laptop Love: produced by Meg & Danilo Vigorito and additional production by Mario Conte. except on: Promises, Laptop Love recorded by Mario Conte @ Range Room Del Mulino, Collegno, Torino. Impossibile Trasmissione: additional voices recorded by Carlo Rossi @ Transeuropa Home, Torino. Running Fast, and additional voices on Pandora recorded by Meg @ Meg’s Home, Napoli. Double Bass on Pandora recorded by Mario Conte @ La Cueva Recording House, Napoli. Double Bass on Succhio Luce recorded by Stefano Fontana @ Waveform Studio, Milano. Trombone on Laptop Love recorded by Daniele Chiariello @ Studio Zork digital Planet Buccino, Salerno. Permesso? : mixed by Roberto Baldi & Mario Conte @ Waveform Studio, Milano. Distante, È Troppo Facile, Napoli Città Aperta, Succhio Luce: mixed by Danilo Vigorito & Mario Conte @ Beautyfarm Studio, Napoli. Promises Mixed by Mario Conte @ Waveform Studio, Milano. Laptop Love mixed by Danilo Vigorito @ Beautyfarm Studio, Napoli. Mastered by Nilesh Patel @ The Exchange, London. Concept, art work & photography: umbertonicoletti.com. Management: Carlo Pontesilli Per Dgp Entertainment. recorded by Mario Conte @ La Cueva Recording House, Napoli. with my pretty pretty face? Just to keep your life safe!